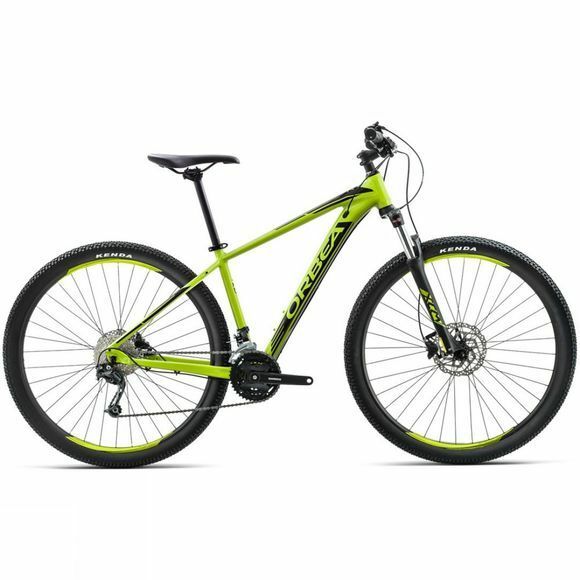 The MX 40 sits in the middle of Orbea’s MX series of hardtails with a higher spec’d Shimano Deore gearing on the rear and Altus M2000 on the front. Its AL6061 frame features specially shaped and manipulated tubing, designed to put strength where it’s needed without adding unnecessary weight. Powerful hydraulic disc brakes provide incredible stopping power, no matter the weather conditions, and a SR Suntour fork with 100mm of travel on the front helps to absorb some of the noise from the track.